Another 4 miles done this morning. Because the weather in Florida has been too warm for my liking, I did this run inside on the treadmill, with the windows closed, and the heat cranked WAY up. Ugh. That’s going to be a looooong 26.2 miles if the temps don’t come down. But I’ve got to keep this rolling! Here’s a picture of them. These rollers are part of my care and maintenance routine heading into the race. I went into the RoadRunner Sports looking specifically for the foot roller. The pretty, colorful, nubby one. Rolling my sore foot over this guy REALLY helps relieve the soreness caused by my annoying Plantar fasciitis. I’m able to manuever my foot into all directions, so as to roll my heel, and my arch, and all the sore spots in between over the nubs. It hurts, but in a good way. Can’t really explain it, but if you’ve been there — you KNOW what I mean. Follow it up with a little foot massage, and then end the night stuffing my foot into the foot brace I wear overnight……The routine is working. It’s getting me from Tuesday Rest Day, through my run days, to Saturday Rest Day, and back running to Tuesday. Just one more week Right Foot — hang in there. 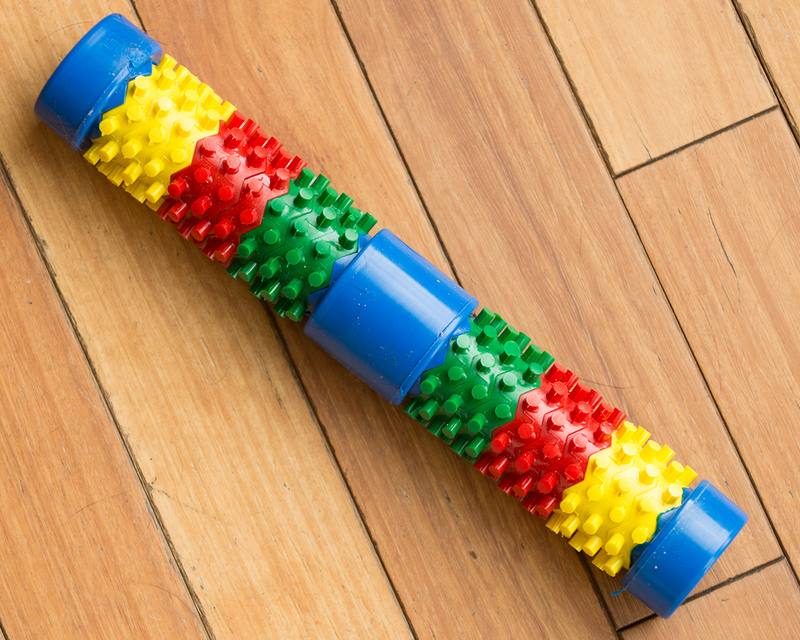 Then, the sales lady suggested the rubber roller for my calf muscles, and well…I’m a sucker. Hand it over. It went into my stocking. Holding off until Christmas Day to use it was H.A.R.D. And actually, the surprise of the whole thing was — when I rolled it over my right calf muscles and up my hamstring — I realized this routine also helped my foot. W.e.i.r.d! Just goes to show….where the pain shows itself, and where it originates ….are NOT always the same place. So evenings at my house are interesting. WooHoo. We’re living the High Life!! I’m rolling, and massaging, and rubbing Icy Hot on knees and legs. Sending myself to bed early in a Foot Brace. Ahhhh, the life of an Athlete! Just one more week Diane. Hold it together. We’re in the home stretch!